There’s what you do. And then there’s who you are. Remembering this is terribly important. Maybe the most important thing of all. This image for Zappos is about that transition, about bringing larger meaning to the work they do. Because if you don’t have that big picture, it makes it hard to get excited about the day to day. But if you do – if you have that deep sense of purpose – work becomes joy. 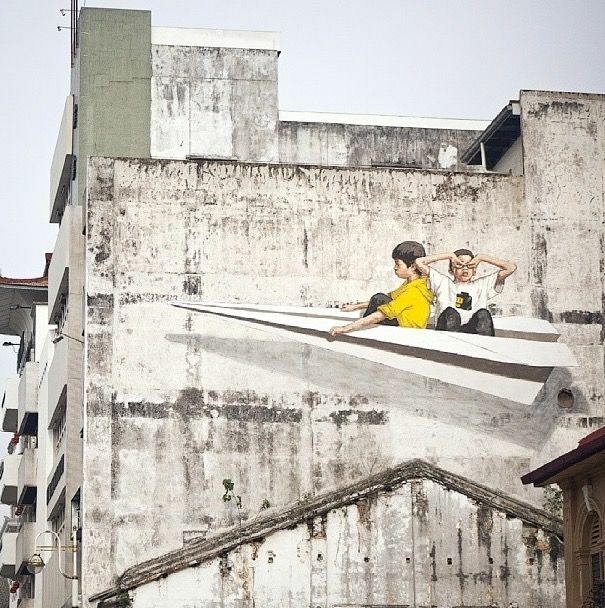 A street art worth 100 poems by Ernest Zacharevic. A recent article by the title How to Prevent Overdiagnosis, published in Swiss Medical Weekly, accurately sums up the issues about overdiagnosis. Overdiagnosis, as defined in the summary is the diagnosis of an abnormality that is not associated with a substantial health hazard and that patients have no benefit to be aware of. Overdiagnosis is mainly the consequence of a technology-driven medicine that aims to improve patient outcomes by detecting disease in its earliest form. Overdiagnosis is of growing relevance in population dominated by chronic conditions having long pre-clinical stage. Although early detection has been shown to be beneficial for several conditions, it also increases the probability of finding insignificant abnormalities, whose treatment is not associated with any benefit but can harm the patient. Moreover, overdiagnosis diverts healthcare professionals from caring about other health issues and generates costs. The increase in healthcare costs, the over- and underutilisation of some care, the debates about the effectiveness of several screening, and the growing role of patients in medical decisions require concern about overdiagnosis. You are currently browsing the Blog Odyssée weblog archives for February, 2015.